Home > Free Samples Australia > Beauty Freebies & Free Samples > Free Cholesterol Lowering Starter Kit!! Free Cholesterol Lowering Starter Kit!! Your health is you highet priority. Follow the link over Flora web page to download this free cholesterol monitoring kit from Flora. Guide to lowering cholesterol – All the info and tools you need in your cholesterol lowering journey. 3 week cholesterol challenge diary – To record and track the changes you are making to your diet and lifestyle to help lower your cholesterol. Heart healthy recipes – A selection of delicious and healthy recipes that help to lower your cholesterol and contribute to a heart healthy lifestyle. Don’t hesitate to share this offer with people you care about. Grab you FREE SAMPLE Pack from Cherub Baby!! 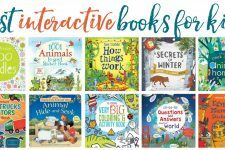 FREE Interactive Books For Kids! !